He feeds on emotion, whether it's spurring on his own teammates or riling up the opposition. But, Maxim Lapierre, Vancouver's blue-collar checking forward, has proven that he can also be the guy to deliver a big goal when it counts the most. The man who wears the No. 40 jersey for the Canucks rarely goes unnoticed when he's on the ice. A defensively sound forward, Lapierre has developed a well-earned reputation for his ability to stifle other team's top lines. But the native of St. Leonard, Quebec, is also equally well-known for stirring up rivals, earning him a reputation as one of hockey's most high-profile agitators. And in Game Five of the Stanley Cup Finals, the forward, who is often be the centre of attention, also showed he has the offensive savvy to net an important goal in crucial contests. Lapierre scored just his second goal of the playoffs, but it happened to be the only goal of the game, as he helped lead Vancouver to a 1-0 home-ice win over the Boston Bruins, to move the Canucks within one game of the being crowned champions. But it was hardly an exuberant, in-your-face Lapierre that spoke in the moments after the key triumph on June 10. In fact, it was, by his standards, a reserved player that stepped up to the microphone to address the media. Lapierre, who feels right at home in Vancouver, has been a well-traveled man in 2010-11. After nearly six seasons playing within the Montreal Canadiens organization, Lapierre was traded to the Anaheim Ducks for defenceman Brett Festerling and a fifth-round draft pick in 2012 on December 31, 2010. He played in 21 games with the Ducks, before being dealt again prior to the NHL trade deadline on February 28, 2011. He was traded to the Canucks, along with MacGregor Sharp, in exchange for minor-league forward Joel Perrault, and a third-round draft pick in 2012. Upon his arrival in Vancouver, Lapierre, who scored his first goal with the team on March 16, 2011, in a 4–2 win against the Colorado Avalanche, has been a solid contributor on one of hockey's deepest rosters. 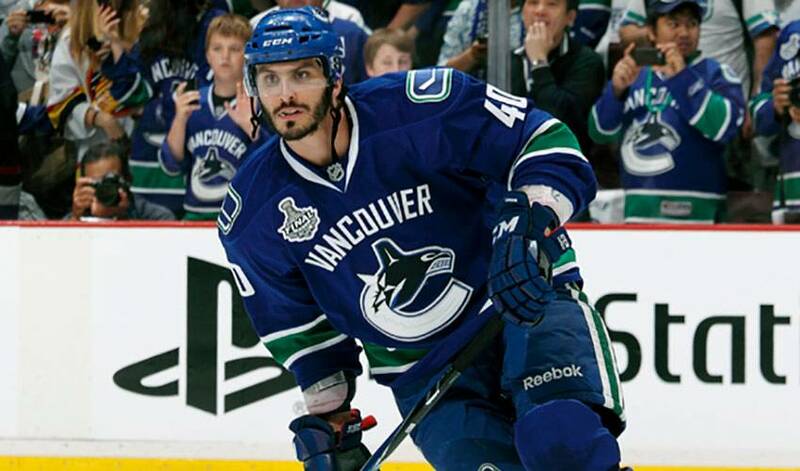 Although the Canucks originally acquired him with the thought of him centering their fourth line, Lapierre was elevated to third-line duty after Manny Malhotra suffered a serious eye injury late in the season. He has been at the top of his game in the post-season, teaming with Raffi Torres and Jannik Hansen to form one of Vancouver's most effective lines. That he's playing well in the post-season isn't a surprise. It was Lapierre's highlight-reel, game-winning tally in Game Six that propelled the eighth-seeded Montreal Canadiens to an eventual seven-game series triumph over first-seeded Pittsburgh in the opening round of the 2009-10 Cup Playoffs. Though he had endured a rough year on the score-sheet during the regular season, one of his former teammates knew just what to expect from the feisty forward when the Eastern Conference Playoffs began. “You never count a guy like Max out,” offered Montreal star forward Mike Cammalleri, after Lapierre's key goal against Pittsburgh. And while the uniform might be different these days, Lapierre, who scored a Gordie Howe hat trick (goal, assist and fight) against the New York Rangers on December 4, 2008, is living up to that very reputation again. But just don't expect him to talk a big game before the puck drops for Game Six in Boston. As for what he's going to do, it's never quite so easy to predict. One thing that is a certainty, however, is that Lapierre always seems to deliver his best performance when it matters most. The type of player that his teammates, past or present, know you can never count out.